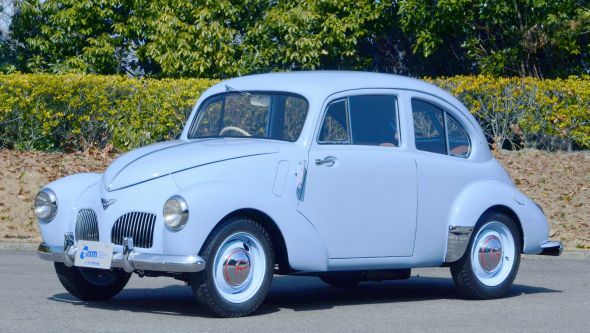 Recognised as an influential vehicle in Japan’s car-making history, the Toyopet Model SA was a vehicle that Toyota created with great enthusiasm once it was allowed to resume the development of passenger cars following World War II. It employed aerodynamic styling and a backbone frame structure, as well as innovative mechanisms such as four-wheel independent suspension. Only 215 Model SAs were built in its four-and-a-half year production run, and it is not known if any exist outside of Japan. But we do know where and when you will be able to see one. The Toyota Automobile Museum is hosting this year’s annual Classic Car Festival on 25 May, and the Model SA is one of six cars that will be exhibited in a special ‘Cutting-Edge Vehicles’ display. Museum curators will give lectures about the influence of these vehicles and also conduct demonstration drives. So if you are in Japan at that time, why not head over to Aichi Commemorative Park for a glimpse of this rare vehicle and over 100 other privately owned classics. 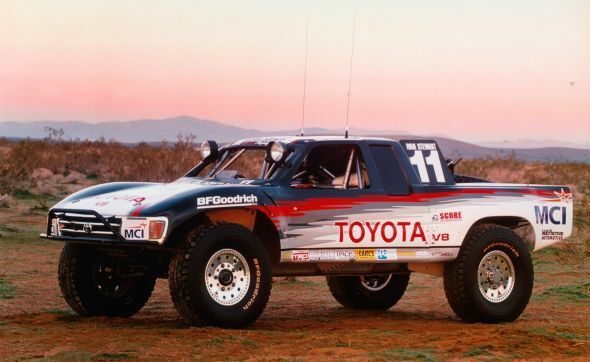 Back in July 1999 we brought you news of America’s real-life ‘Ironman’ and his beast of a Toyota pick-up that powered him to victory in the punishing Baja 500 desert race that year. Ivan ‘Ironman’ Stewart is a 24-carat legend within the off-road racing community, and has enjoyed a long and successful relationship with Toyota. This desert racer was a pick-up in silhouette only, for underneath the carbon fibre and Kevlar bodywork lay a steel tube chassis and a mid-mounted 4.9-litre V8 pumping out over 500bhp. Loaded up with fuel and spare wheels it weighed approximately the same as a contemporary Hilux Double Cab yet could scamper over the dunes at up to 140mph. So riotous was this car’s performance in the hands of Stewart that it became the subject of two off-road video games. There was even an Ivan Stewart off-road virtual reality experience available at the Sahara Hotel in Las Vegas. 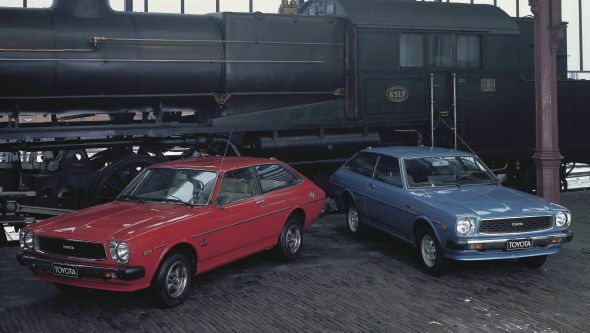 This week’s #ThrowbackThursday post rewinds exactly 40 years to the arrival of the third-generation Corolla, and more specifically the svelte Liftback model. The third-generation Corolla made a radical departure from the soft lines of the previous versions and was the first to have its design honed in a wind tunnel. In addition, the Liftback model spearheaded Toyota’s effort to create a functional, multipurpose yet sporty vehicle. As if to underline this lifestyle focus, the car’s designer made it known that the luggage area was specifically shaped to store fashionable new short-style surfboards. We look back to 2001 when the world’s best-selling Corolla range was expanded to include an MPV model for the first time. With the launch of the Corolla Verso in 2001, Toyota’s practical ‘Verso’ range had grown to three cars. Accounting for almost one quarter of all sales of this generation Corolla, its design was unique in being based on a concept originated by Tecno Art Research in Nagoya, Japan. The rest of the Corolla range was penned by Toyota’s European designers based in the ED² design centre in the South of France. Corolla Verso was a practical and versatile machine, seating five people in spacious comfort. Offering a convincing 417-litre load bay with all the seats up, plus a further 56 litres of storage space from a total of 22 different storage areas around the cabin, it was widely regarded as a perfect family car. Follow these links to learn more about the latest Verso as well as its economical new 1.6-litre diesel engine. Bookmark this page and come back here every Thursday for the following week’s instalment. Or search for #ThrowbackThursday on our Facebook, Google+ and Twitter feeds.